» Council Policies, Procedures, Finance etc. » Register for free » Recover your Login? 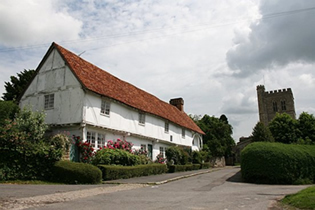 With its rich history and flourishing contemporary life, Long Crendon offers the best of both worlds. The beautiful Buckinghamshire countryside and picturesque properties give an air of tranquillity, but as residents will tell you, the place is teeming with activity. Learn more about Long Crendon's heritage and explore all its present day amenities by using the navigation panel on the right hand side. Enjoy your visit. It is inevitable and indeed desirable that we will experience some housing development within the village. There is a national target for increased housing of which AVDC has a share, this is spread across the region and includes Long Crendon at present requiring 120 new homes. The aim of the plan is to ensure that we are not swamped with mass developments that will negatively transform the character of the village, pushing to breaking point amenities that are already straining to cope. The plan will hopefully enable managed growth in the village over the next 17 years. The plan will direct where the houses are built, their design and when needed. Please refer to the section of the menu on the right hand side of the website for updated information and details of the plan. The Crendon Crier will also carry regular updates on the Neighbourhood Plan. A referendum will be held later this year for all residents to vote on acceptance or rejection of the submitted plan. 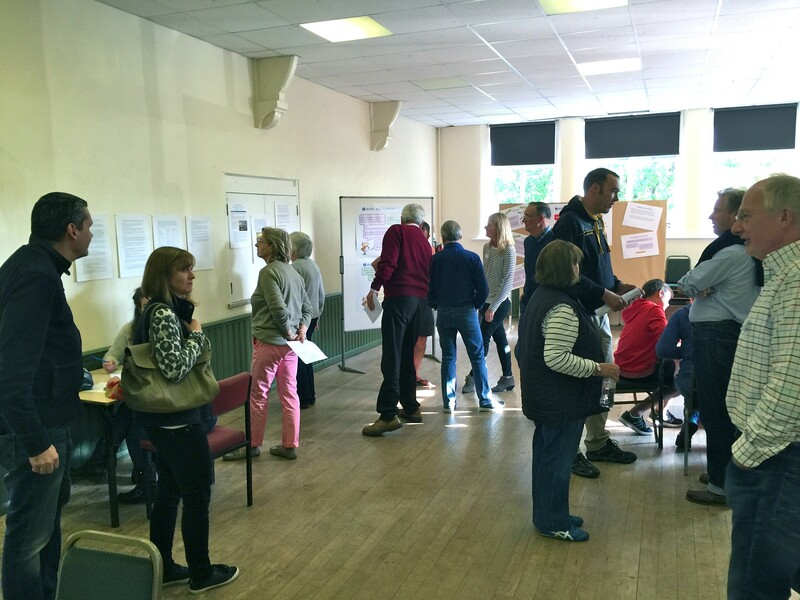 Residents at a meeting with members of the Steering Group and Parish Councillors at one of the exhibitions we have held to inform and consult with rtesidents. The Parish Council have been working towards re-invigorating the parks within Long Crendon and have been delighted with the success of the new Jubilee Park at the recreation ground, which we opened on 7th September 2012. View photos of the playground, and of the Open Day. Plans for regenerating our other park at Harroell are now complete with the recent installation of a Zip Wire, a junior skate park and a gravel bike track. The Council were fortunate to receive funding from Wren and from the Vale of Aylesbury Housing Trust to build this. For further information and photos of the completed project, please click here. All news relating to the Parish Council activities such as planning notices and meeting minutes can be downloaded online. Also you can find important Parish Council contact details. Advertise, or Search for, a local business by using our local business directory. Search through the Long Crendon directory of local clubs, societies and organisations, from Charities to Sports Clubs and Village Affairs. The Crimewatch Noticeboard is where you can interact with the local police force to find out details of crimes and to report any information you may have.